Steve Thompson, is one of the top earners in Ambit Energy, an energy MLM active in only a few states in the USA with a revenue of $650 million in 2011. Steve Thompson earnings from Ambit Energy has gone over $350,000 a month, with over $8+ Million in career earnings for 5 1/2 years with Ambit. He lives in Austin, Texas. Ted Nuyten had the honor to interview Steve. Steve, how did you got involved in the MLM industry, who pitched you' and is he/she still involved and why were you interested in the business model? I was first recruited back in the 80s into Herbalife. I owned an Insurance Agency and one of my customers asked me to try the product. I liked it. Watched Mark Hughes on Video and became intrigued with the Business Model of Helping Others. Unfortunately, like happens too often, my Sponsor did not stick around and I hardly saw him again. I built the business all on my own for two years. Company was great but I got tired of dealing with so much product. I became a student and looked at every business that came my way but did not join one again for 10 years. That's when I found Excel Communications and got back in the industry. I was there for over 8 years and learned a lot but never got in to the big money. I was just too late to the party. (I owned the Insurance Agency for 31 years until 3 years with Ambit Energy when I could no longer see going to a Traditional Business). I sold the Agency to have more time off to enjoy MLM Success. So Ambit Energy is not your first MLM, who is your sponsor? I have worked in the Industry for a total of about 18 years. 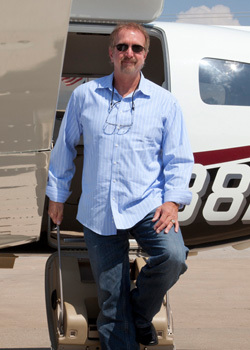 I have been in several companies and found my first Big Success in the Travel Industry. I enjoyed it and stayed in the Top 20 and never thought I would leave. However, when I got a call from an old friend from Excel, Philip Eckart , I went to meet the Founders of Ambit, Jere Thompson Jr and Chris Chambless and quickly realized how big the potential was. After some research, I stepped out of travel and put all of my focus on Ambit Energy. What attracted you to join the Ambit Energy opportunity? Ambit was the opportunity I had always wanted to find. For me, Ambit is in the Right Industry with Huge Potential, a Great Compensation Plan, Great Management and the best true Residual Income Possibility I had ever seen. Electricity and Natural Gas are necessities and we truly save people money on energy while offering a Fantastic Business Opportunity. Integrity is at the Very Top of the Management Style and we continue that in the field. That is what helped propel Ambit to being named the Inc 500 # 1 Fastest Growing Privately Held Company in 2010 and continues in our DNA as we move from territory to territory with expansion. And it is not just an American Phenomenon. I don't know where all we will grow, but if it makes sense for the company and the field, we will continue to expand. The Energy Industry is nearly 500 Billion Annually just in the USA and remarkably huge around the world. And of course, Deregulation is only going to happen once and it is happening Right Now! What is the size of your team (distributors and/or customers) and what are you career earnings? Teamwork is the key to my Success. 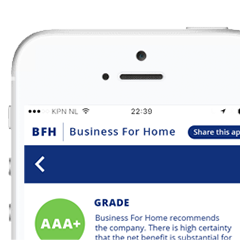 We focus on Leadership Development and are now at just over 68,000 Consultants and well over 300,000 Customers. My earnings from Ambit Energy have now gone over $350,000+ a month as of April 2012, with over $8 Million earnings for 5 1/2 years with Ambit. 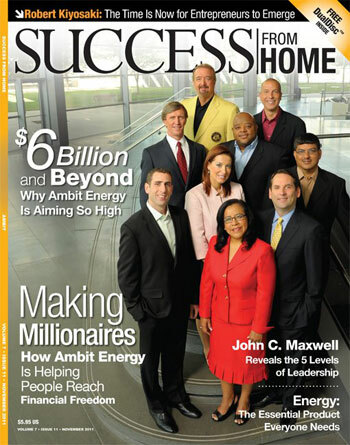 Did you enroll massive members / leaders in Ambit Energy or do you have a more selective strategy? I believe everyone deserves a chance. I recruit people that have a Strong Desire and are Coachable and Teachable. As we begin to set goals and work together, they identify themselves as a potential Leader, or not. It is Multi-Level Marketing and it is not always the person you recruit that becomes the Great Leader, but they frequently lead you to the Great Leaders. We have an unlimited depth compensation plan and I work with people at all levels. I am blessed with a Great Number of Leaders. Some of them I personally knew and recruited, some I never met until they identified themselves with their work. I don't look to just find leaders to recruit but rather to identify people with leadership potential and work with them to develop their Leadership Skills. We use a Systems Approach so it is not all about the individual. We are a Team. Who have been your business mentors, or did you figure it all out alone? I frequently did not know my mentors personally. I am a big follower of John Maxwell, Robert Kyosaki, Jim Rohn, Steve Siebold and many other great teachers. My life was personally touched by my old Excel Mentor, Chuck Hoover who always gave me encouragement along with a great trainer, Marc Accetta and others. I have recently been fortunate to train with and attend trainings with John Maxwell. I continue to attend as many trainings as possible as each trainer offers me something. It is important to seek out mentors and to realize that you do not have to know them personally. I read, watch and listen. The MLM Industry has been my greatest life trainer. I am a person of faith and that has a large impact on what I do. You are traveling through the USA in a private jet, why is that? With my Ambit Success, I am well past the point where I could retire and enjoy the results of past work but I truly enjoy what I do. They pay me thousands to help other people develop Leadership Skills and improve their lives. I owe much of my Success to the many Leaders on my Team and feel a great responsibility to them and to the many that are reaching for success. Traditional travel gets very waring. A couple of years ago I bought a Tour Bus to help keep my on the road with more comfort and it was great. However, it kept me away from home even more. With the income I have I decided to live out another Dream and purchase a Jet Powered Turbo Prop Plane. It allows me to keep doing many meeting and seminars while cutting down the time commitment. With my travel schedule, I figure it saves me over a hundred days a year. Now that is buying your time back! It also allows me to invite others along so they can see first hand what success in MLM can mean for your lifestyle. Now I spend more time at my Ranch or where ever I choose, while traveling to help as many people as possible. Why are you having massive success, what is your secret? My Secret is that there really is no secret. You have to be a follower before you can lead. You have to be coachable before you can coach. But there are so many great leaders, mentors and trainers in our Industry that it is all there for the asking. Then it is applying what you learn. As they say, knowledge is not really Power, but the consistent application of knowledge is. I am failing my way to the Top. It is not really failure if you learn from it and continue to improve. Only through Failure can you find Success! A lot of what I have done was tough. A lot was facing rejection and teaching others to do the same. And most of all, Not Spending Too Much Time With the Wrong People. I am constantly looking for people with Leadership Desire and Capability and focus on helping them Develop Their Leadership Skill. The secret to making a lot of money is to Become More Valuable Through Personal Development and Spend Your Time Helping Others to Become More Successful. Making a Million a Year in MLM is from Helping About 20 Others make 100,000 Plus. The More Others You Help, the More You Earn. Are you still looking for new leaders or are you in retirement modus enjoying the benefits if a residual income? I am still out building the business. I still recruit but do not personally sponsor as frequently and I take being a Sponsor very seriously. It takes time to be a good sponsor and most of my time is helping developing leaders. But I never quit and am always on the lookout for the right fit with me. The beauty is that I now work less hours for a whole lot more money! For some people, getting duplication is a challenge, what would you advise them? I recommend that you always make sure that it is not all about you. Other than Public Speaking which is a more rare skill set, you should never do anything that the average person can't do. Everything you do must be duplicatable as people do what you do, not what you say. You don't have to be a Great Speaker as many Great Speakers will come into your Team and you can help them. Work with individuals but always think in Teams. everything you do should come in this order. What is best for the new person. What is best for the Team. And the Speed of the Leader is Truly the Speed of the Pack. You have to lead from the front and always be doing what you want others to do. For Massive Success you must have a system that is easily duplicated and not dependent on you or any other individual. Show people how, but don't do it for them. We are in the business of developing Independent Representatives, not dependent Representatives. Coach, Teach, Mentor and Lead. The goal is Empowerment. Stick to the system and make sure it is not dependent on any very special skills. Keep it simple. The more elaborate your system is the less likely it is to succeed. Don't take shortcuts as they will ultimately Shortcut Your Success. Make sure you can be proud of what you do and others are more likely to emulate you. Not only does that lead to Duplication, it leads to the Highly Sought After Multiplication! I am blessed to work with a lot of really great leaders. While I would like to include them all I must share just a few with you for this interview. These are the leaders that are out Leading and Traveling every week. These are the Million Dollar Producers that have dedicated themselves to Helping Others. Who did you sponsor frontline? I was fortunate to Personally Sponsor National Consultants Chris & Debbie Atkinson of Houston Texas. Chris was dead broke and had moved home to live with his parents but had a leaders heart and a huge desire and work ethic. 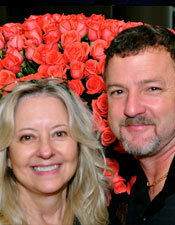 He and Debbie work together and are Million Dollar a Year Earners. 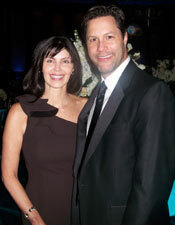 I also personally sponsored Executive Consultant Justin & Sheri Title of Dallas, TX. Justin started MLM 20 years ago in Canada selling water filters. We met in the Excel Days and he was my sponsor in Excel. I was fortunate to bring him into Ambit and work with him as he passed the Million Dollar Mark and Leads Dallas and other markets. He and his wife Sheri are out there building every day. 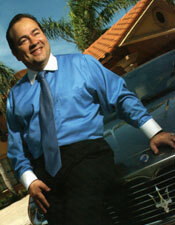 Executive Consultant Rigoberto Yepez is a Phenomenon. He had never done MLM and came to this country many years ago as an Immigrant picking fruit in the fields of California. Rigo wanted much more and put himself through school eventually becoming a Business Consultant. He saw the Ambit Opportunity and started part time. He soon caught the Vision and has passed the Million Dollar Mark and become the #8 Earner in Ambit Energy. With his bilingual skills and his Systems Approach to Ambit, Rigo is destined to go to the Top. 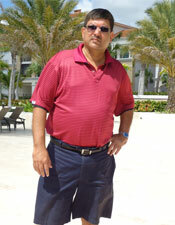 His team started in the Rio Grande Valley of Texas and now hits all of the Major Markets in Ambit. Rigo came in downline from Chris & Debbie Atkinson and I was fortunate that he asked for my mentorship. We still work and tour together and he is building an Army of Success! 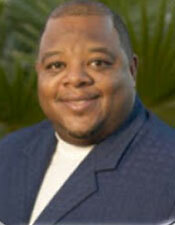 Executive Consultant, Pastor Kenny Smith is a Great Leader in Ambit. 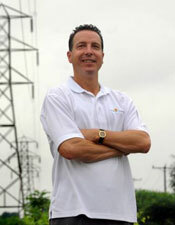 He too has been in the industry for many years but found his Big Success in Ambit Energy. I met Kenny as I was the presenter when he first saw Ambit as a guest of Debbie Atkinson. We hit it off immediately and have spent a lot of time together putting together the systems for Success. I am very proud that I have been able to help him along as he is out changing lives daily. His focus and determination earned him the Persistency Award in Ambit and he is out Coaching, Training and Presenting all over Ambit. While still pastoring (He says he doesn't want to fire his boss), Kenny is building Huge Success by helping so many others. 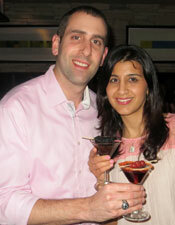 Executive Consultant Chanan Oxenhandler (NYC) came into my Team several levels deep. I saw his Desire, Skill and work Ethic and was fortunate to Mentor him as he ascended to be the Top Money Earner in NYC and his Team is growing all over Ambit. He and his wife Revital work together while raising a beautiful family as well. He is soon to pass the Million Dollar Level as well. Executive Consultant Greg Henzel is the MLM Dream. This is his first time in MLM and he came in more than a dozen levels below me in the matrix. 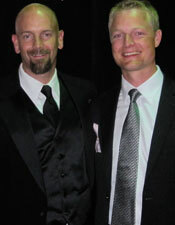 I was proud to become his mentor and he has one of the Fastest growing Teams in the Northeastern US. He does more meetings in more towns than almost anyone else. The way he helps others you would think the whole company is in his downline. His focus on Abundance rather than Scarsity is a Huge Key to Success in MLM. Like many others on my Team I fully expect him to take this to a much higher level. Executive Consultant Ikbal Sherrif host the JFK/NYC Meetings while also building through out the Northeastern US. Ikbal came from a product company and is finding Huge Success in Ambit. He is several levels away from me on the Team but reached out to me early on. He understood the system I am proud to help him along the way as he helps so many others. I could go on and on about the leaders. There are 74 Executive Consultants on our team and many more are coming. All of this and we are less than 6 years old and have just moved into the Serious Expansion Phase. I am living my Dreams because of hard work in the Direct Selling Industry. It is definitely the Industry of Our Times. 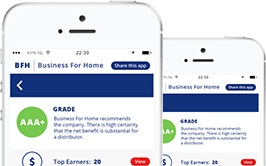 Never before has there been so much Opportunity for Financial Freedom. Thanks Ted, for all you do for all of our Industry and the people that are to join us! Get more information, fact and figures about Ambit Energy, click here for the Ambit Energy overview.